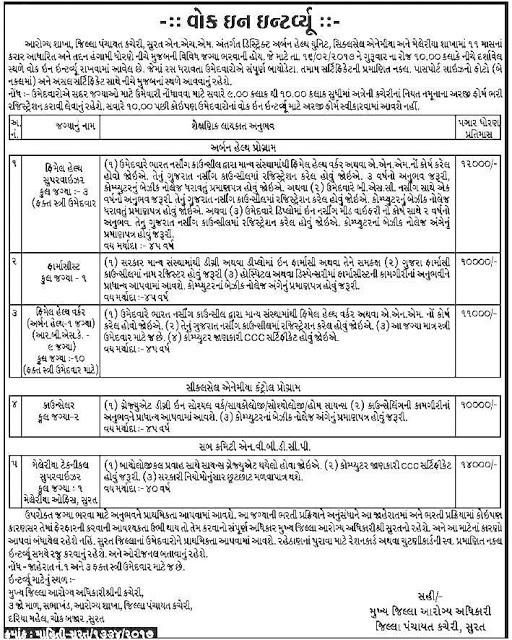 District Urban Health Unit, Surat has published requirement news for below mentioned Posts 2017. More information please read below mention details carefully. Address to sent Applications : Chief District Healh Officer Office, 3rd Floor, Conference Hall, Health Department, Jilla Panchayat, Dariya Mahal,Surat.